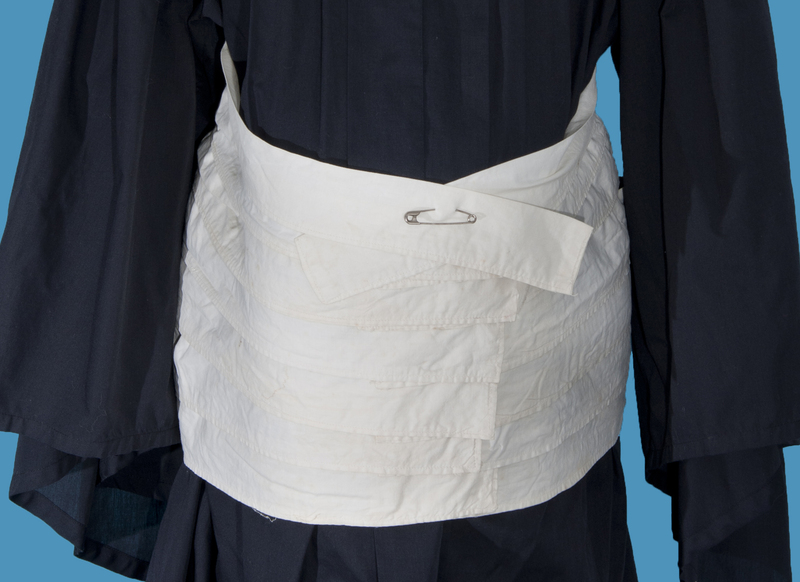 Used by a new mother after the birth of a child, the postpartum binder was meant to restore the figure and keep the womb in its correct position. She wore the binder for 10 days after the birth and changed it daily. 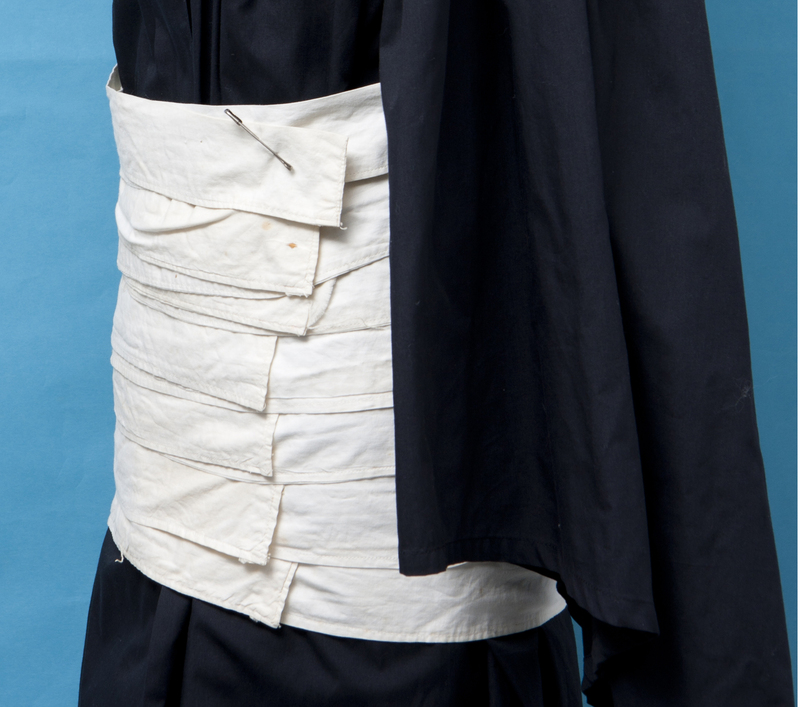 The midwife or physician bound up the post-partum woman by wrapping the binder’s straight pieces over her belly and fastening the bandage snugly with pins or by braiding the strips down the front. The binder’s effectiveness and safety was the subject of much debate in late 19th-century medical journals. 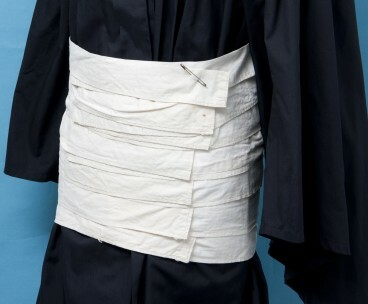 Also known as a Scultetus binder after its inventor, German surgeon Johann Schultes (1595-1645), has been used for many years as an abdominal support to hold dressings in place after surgery. Modern binders are made of various materials and fastened with Velcro. 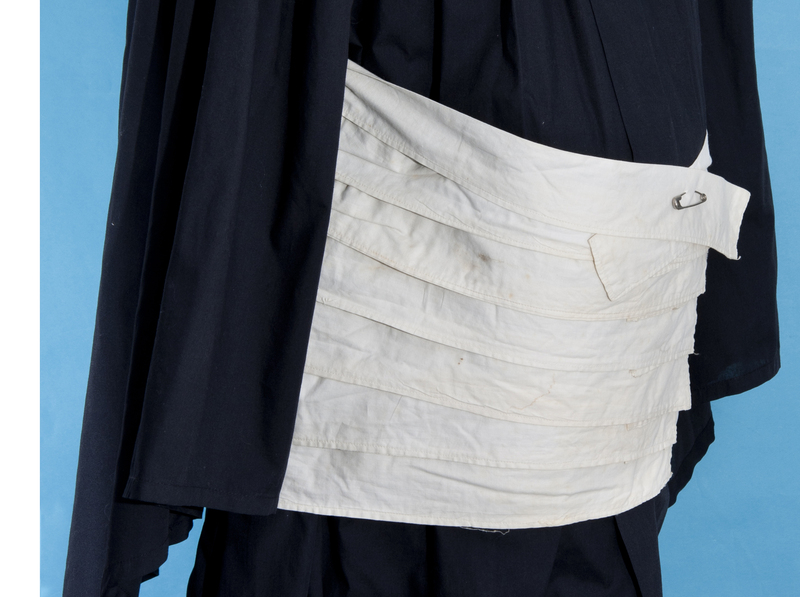 This postpartum binder came from the Blackstock Dispensary in Blackstock, Ontario, home to seven physicians between 1876 and 1966.